Creation of this applet was inspired by a tweet posted by Antonio Gutierrez. 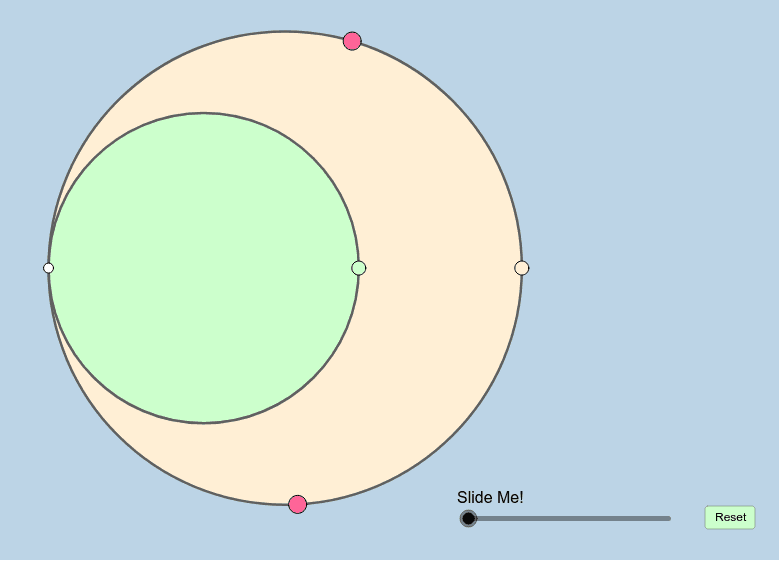 Make sure the pink points are aligned so the secant that passes through them is also a secant for the smaller circle! (Otherwise you won't see the intended phenomena.) How can you formally prove what this applet informally illustrates?